Officially, a year and 6 months. Sustainability seems to be a loaded word these days. To me it means making a huge shift; firstly within myself to make conscious choices in how I live my life daily & secondly as a business owner it means taking every action possible within my business model to work towards social & environmental fairness. While we are not 100% sustainable yet, but we are certainly working hard towards it…it is as if we have to push backward to undo the poor standards that have been set in manufacturing & outsourcing. It’s not right. But we are working to make it better. Fair Trade standards need to be the new “Standard”. What inspired you to start an ethical jewelry line? I was living in India, doing some self-discovery & teaching dance in a local orphanage. 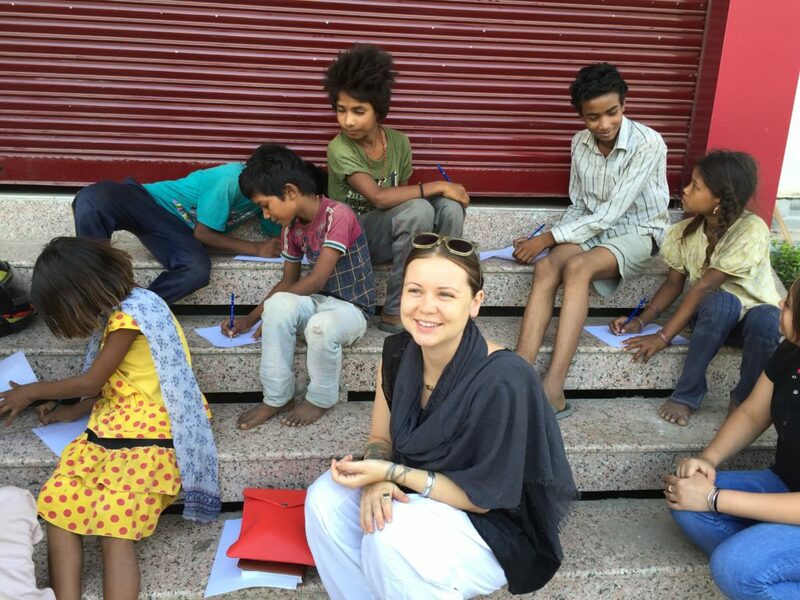 The kids there stole my heart, while the situation for at-risk children in India moved me to do something meaningful for them. Having a background in fashion, I was also speaking a lot with local artisans. I became inspired to blend my previous experience with my new passion. It all started with a crowdfunding campaign & we just carried on from there. Tribe of Lambs is an ethically made jewelry brand creating opportunity & bright futures for HIV Positive children in India. We are proudly nonprofit. Do you have a 5 or 10-year vision for your company that you could share with us? As we look forward 5 years we will be working towards expanding our brand & our impact in India. Working with our beneficiary, Ray’s Home for HIV Positive Children, our two main focuses are to build a facility which can house a jewelry cooperative to train & employ HIV Positive Women as well we as a dream home for Rays in which they can care for 200+ children with adequate services such as an infirmary, preschool & dining hall. Our customer is the conscious & compassionate consumer making the world better by simply shopping thoughtfully. That it is readily available! There are SO many amazing & awesome brands for men, women, children which are available online & in stores. There has never been an easier time to shop sustainably. Yes, the price tag is often higher, but with it comes a thoughtfully curated wardrobe of high quality, well-made garments. Supply chain. In jewelry, there are so many components which make up a single piece. While we can monitor the actual production, it is the supply chain of metals & stones which we can’t. This is why our goal is to create our own cooperative where we can utilize recycled metals & stones. Transparency is one of our main values at Tribe so it’s essential to our business model, but this is one aspect where we openly wish we had more control. Amanda Lindhout! She went through so much & does such amazing humanitarian work for Somalian refugees. I heard her speak at a UN event last year & she really moved me with her story & her courage. Other than your own, which sustainable fashion brands do you like? My favourite right now is Reformation from LA. They are SO green, their design is spot on & I love how accessible it is. I recently visited their NYC flagship & it was beautiful! They are proof that sustainable can be trendy. Is there anything else you’d like us to know about you or your company? 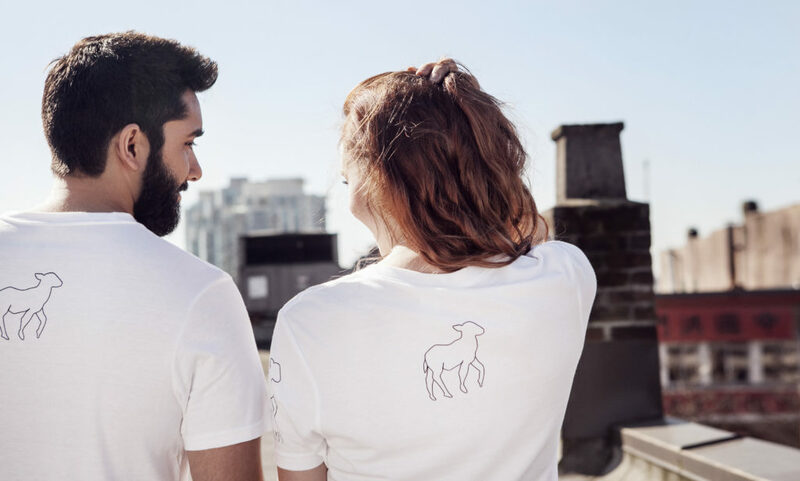 Tribe of Lambs isn’t just about selling ethical jewelry…we are working towards growing the community of like-minded individuals, supporting important social causes & wearing their values. Together is the only way up! To wear, black. For life, Rainbow.